John Frieda Sheer Blonde Moisturising Shampoo*, Conditioner* and Frizz-Ease Hair Serum*. John Frieda products are currently on 2 for £8 at Boots. 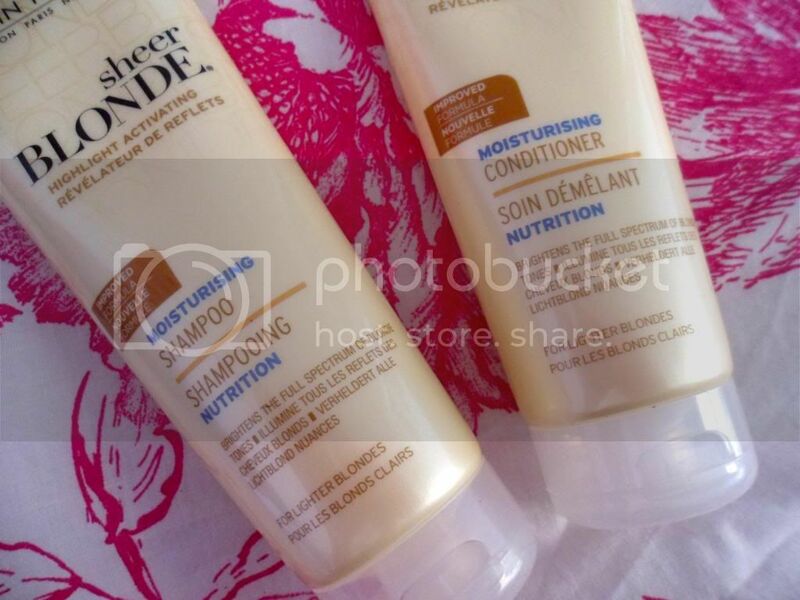 Getting blonde hair too look smooth, sleek and shiny is no easy feat. With frazzled ends, annoying fly-aways and a penchant for breaking *dyed* blonde hair has to be the most high maintenance colour of them all. 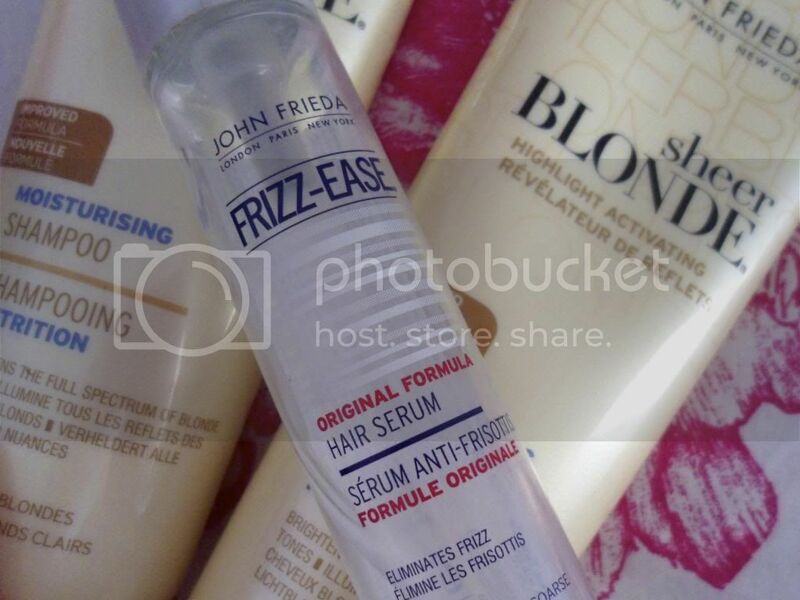 In steps John Frieda and their Moisturising Sheer Blonde range and a cheeky bit of Frizz-Ease. I've been a fan of the John Frieda ranges for a very long time and have used their Go Blonder, Colour Renew, Frizz Ease and Full Repair lines, all delivering great results. 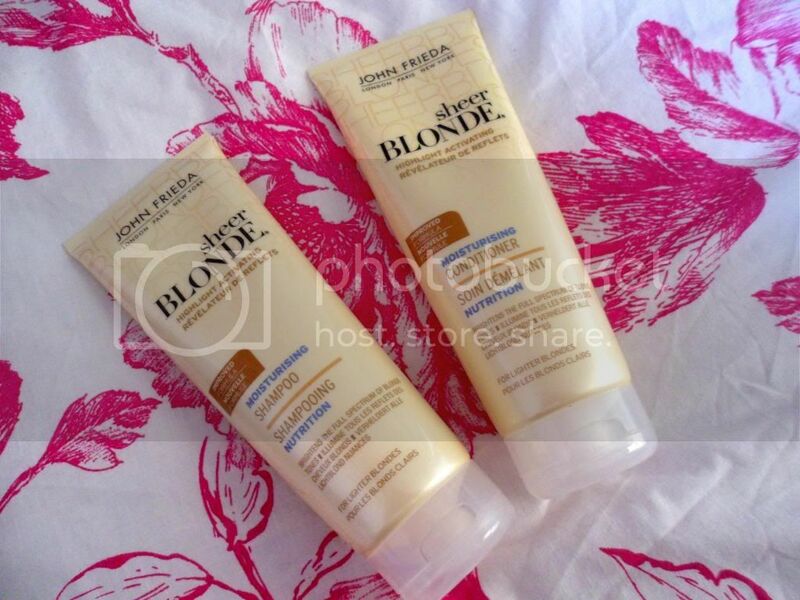 The Sheer Blonde range is no exception. The formula is salon inspired and contains jojoba and sunflower oils with white tea to bring out and enhance blonde highlights whilst not depositing any colour onto the hair. I definitely saw a noticeable difference in my hair after a few uses, the darker mousey brown at my roots blended more with the blonde at the ends and my ends were a lot brighter and more true as a blonde. In terms of nourishment, it is one of the most moisturising lines I've tried which is specifically formulated for blonde hair. It is no where near the level of hydration that something from Aussie would offer, but nonetheless my hair did not feel dry or heavy and weighed down after using them. Now here comes the miracle worker. This stuff is a tried and tested favourite and I'm never without a bottle in my stash. I smooth on a few pumps of this serum into the ends of damp hair leaving hair sleek whether I blow dry it or not. Fly-aways are tamed, split ends are hidden and my hair is left as if I've just come out of the salon. WINNER! 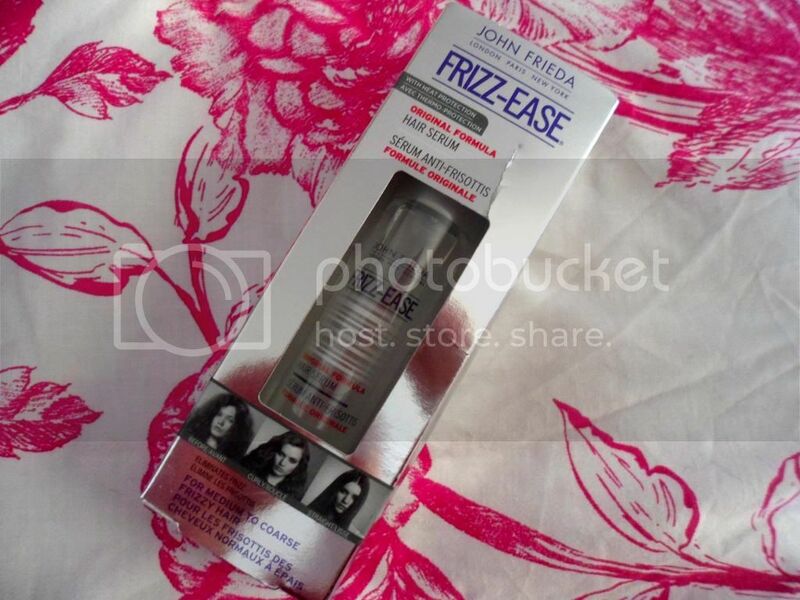 To top it off, John Frieda have kindly given me a Frizz-Ease Hair Serum to giveaway to one of you lucky lot, just simply enter the competition below using the Rafflecopter form. The winner will be contacted on Saturday 9th March 2013! Good Luck! Don't forget to check out the John Frieda YouTube channel if you're a fan of their products. As well as giving great advice on how to best use their products, their stylist Giles Robinson has some fantastic hair tutorials, my favourite being the Natural Waves tutorial using some of the Frizz-Ease Products. I've never tried any of the GHD hair products. I love the Umberto Giannini Hold Me Curl Hairspray at the moment. I love batiste hair products! There great and keep my hair all fresh! I do too! I love the Cherry scent, it smells amazing. I've heard great things about that, the price definitely puts me off though! I love avon moroccan argan oil . 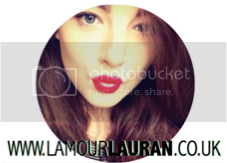 Its great and keep my hair smooth and tangle free ! I keep meaning to try a proper Argan Oil but never get around to it!